Al Basit Skin Clinic provides medical treatment for all skin diseases. 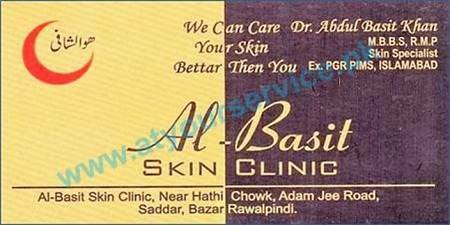 Al Basit Skin Clinic is located at Hathi Chowk, Saddar, Rawalpindi. It provides medical treatment for all skin diseases.